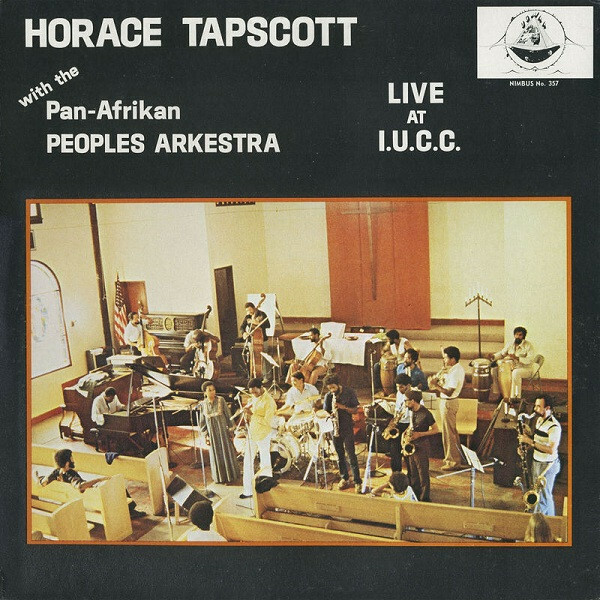 Horace Tapscott. Courtesy of the Online Archive of California. Image available on the Internet and included in accordance with Title 17 U.S.C. Section 107. TAPSCOTT, HORACE (1934–1999). Horace Tapscott, black activist and musician, was born in Houston on April 6, 1934. He was the son of Rev. Robert Tapscott and Mary Lou Malone. Tapscott spent the first decade of his life in the predominantly black Third Ward of Houston. His mother played piano in a neighborhood church choir and had been a member of a jazz quartet that performed throughout East Texas and Louisiana in the 1920s. Horace met his father only once, when he was about six. He grew up in a rich musical environment. As a child he knew musicians Amos Milburn and Floyd Dixon, who dated his sister, and among his kindergarten classmates was Johnny "Guitar" Watson. Tapscott's mother nurtured his musical abilities. By the age of six he had become a competent pianist, and his mother bought him a trombone when he was eight. In 1943 the family moved to Los Angeles, where Horace's stepfather, Leon Jackson, worked in the shipyards. Once again the youngster found himself surrounded by music. He went to elementary school with Jamesetta Rogers, who later became famous as the rhythm-and-blues singer Etta James, and at Lafayette Junior High School he studied under Percy McDavid, who had taught Illinois and Russell Jacquet and Arnett Cobb in Houston; in Los Angeles, McDavid led a band that included future jazz legends Charles Mingus and Eric Dolphy. At Lafayette, Tapscott also met his future wife, Cecilia, whom he married in 1953 and with whom he eventually had five children (he also fathered five other children with four other women). He led a band at Jefferson High School, where his fellow students included musicians Jesse Belvin and O. C. Smith, and once won $200 in a talent contest at a local theater by playing "Marie" on the trombone. After a brief stay at Los Angeles City College, Tapscott enlisted in the United States Air Force and served from 1953 to 1957, mostly at Fort Warren Air Force Base in Cheyenne, Wyoming. During his military service he switched back to the piano; after his discharge, he entered the L.A. jazz scene. He played with Lorez Alexandra and later with Lionel Hampton, primarily as a trombonist, from 1958 to 1961. Tapscott also was briefly a member of Motown Records' West Coast band, which backed popular Motown acts such as the Supremes. Pan-African Peoples Arkestra Album Cover, 1979. Image available on the Internet and included in accordance with Title 17 U.S.C. Section 107. Horace Tapscott performs with the Union of God's Musicians and Artists Ascension. Image available on the Internet and included in accordance with Title 17 U.S.C. Section 107. In the early 1960s he grew dissatisfied with the commercialism of the music industry and increasingly interested in issues of black cultural awareness and radical politics. In response, he founded the Pan Afrikan Peoples Arkestra, also known as the Ark, a collective group with an ever-changing lineup dedicated to preserving and developing African-American musical traditions. He also founded the Underground Musicians Association, which later changed its name to the "Union of God's Musicians and Artists Ascension"(UGMAA). This organization provided a community center that preserved the Afro-American musical tradition and promoted cultural and musical education. It also distributed free food to families in Watts and made available meeting space for black radicals such as Stokely Carmichael and H. Rap Brown. 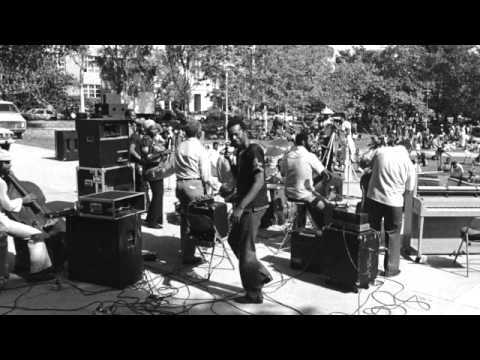 The Ark was known for playing free outdoor concerts in south central Los Angeles and often spontaneously loaded the UGMAA truck with equipment and offered unscheduled performances in local parks and on street corners. Tapscott taught a course at the University of California at Riverside on "Black Experience in the Fine Arts." He also helped set up the UGMAA Fine Arts Institute and briefly hosted a public television show, The Store Front. The group's radical politics—it also played benefits for Angela Davis and for local Black Panther leader Geronimo Pratt—helped draw the attention of the FBI, which placed it and Tapscott under surveillance. Horace Tapscott's Album Songs of the Unsung, 1978. Image available on the Internet and included in accordance with Title 17 U.S.C. Section 107. Perhaps unsurprisingly, given his dedication to radical causes, Tapscott's recording career got off to a relatively late start. In 1969 the Horace Tapscott Quintet released The Giant Has Awakened, a call for black consciousness and black liberation, on the Flying Dutchman label. His first solo album was Songs of the Unsung (1978) on the Interplay label. 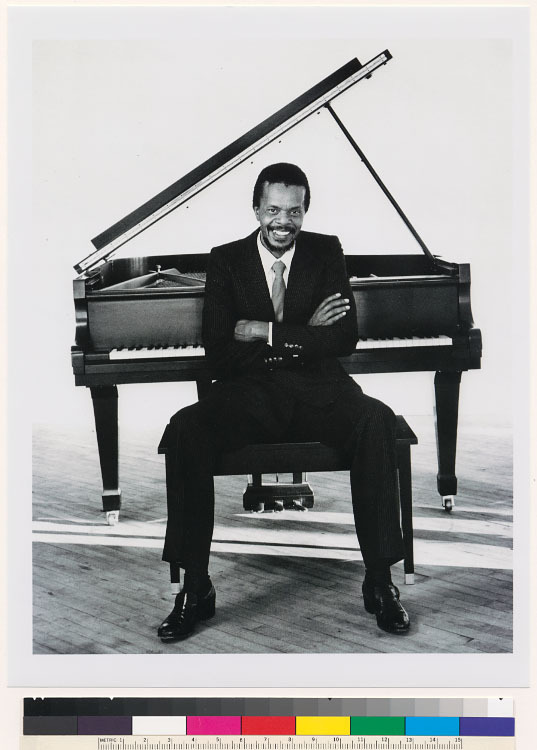 In that year, he suffered a cerebral aneurysm and almost died; nevertheless, he eventually released fourteen albums, including eight albums of solo piano called The Tapscott Sessions (on the Nimbus label), over the next six years. Tapscott and the Ark continued performing into the 1990s. His last recordings were Among Friends (on Jazz Friends Productions), recorded live in France with the Tapscott Simmons Quartet in 1995, and Thoughts of Dar es Salaam (on Arabesque Jazz), both released in 1999. Tapscott died of cancer in Los Angeles on February 27, 1999. UGMAA still existed in the early 2000s. Clora Bryant et. al., eds., Central Avenue Sounds: Jazz in Los Angeles (Berkeley: University of California Press, 1998). Aaron Cohen, "Papa's Optimism: The Final Interview," Down Beat 66 (May 1999). Steven Louis Isoardi, The Dark Tree: Jazz and the Community Arts in Los Angeles (Berkeley: University of California Press, 2006). "Quiet West Coast Giant Reawakens," Down Beat 45 (December 1978). Ian Stewart, "Horace Tapscott," Musician, November 1979. Horace Tapscott Homepage (http://www.posi-tone.com/tapscott/), accessed January 19, 2011. Horace Tapscott, with Steven Isoardi, ed., Songs of the Unsung: The Musical and Social Journey of Horace Tapscott (Durham, North Carolina: Duke University Press, 2001). Handbook of Texas Online, Bradley Shreve, "TAPSCOTT, HORACE," accessed April 24, 2019, http://www.tshaonline.org/handbook/online/articles/fta62.